“Empty Seats” by Wanda Adams Fischer is a must read even if one is not a baseball fan. The author’s distinct, relatable characters revolve around three local high school baseball stars that are called up to the minor leagues to see if “they have it.” But her story encompasses so much more: friendship, expectations, defeat and coming of age. What boy hasn’t thought of being in the major league, being famous and making millions of dollars? Sadly, many don’t make it, and life has other plans for them. Having grown up in a family where my brothers played little league through high school baseball and my dad a baseball coach for many years, I certainly can relate to the expectations that if one wants to make it to the big leagues, nothing else matters. “Empty Seats” follows three young men from varied backgrounds who are excellent local pitchers. One young man’s father gave up his dream of being a professional baseball player due to his wife’s wishes; another comes from the south and is a true, gentle soul who makes friends with everyone, while the third boy, angry at the world, comes from a home without a father, and has a very dysfunctional mother. Given the author's love of baseball and complete understanding of the game and all its components she has an excellent ability to draw readers into the game. Readers will smell the green grass and feel the excitement of playing on a major baseball field. Cesar, the coach of the pitchers, had me laughing throughout the book. He makes a statement, “Chew think you know everything about the game? Chew know nothing! Nada!” Given most of these young players were kings of baseball at home, they were somewhat shocked at this statement. The chapters switch narration between each boy, and I find that it gives one the chance to get to know each player and his mindset. I enjoyed the fact that Fischer was able to vividly describe how each boy returned home hoping they will be returning next year. There are many obstacles and challenges that each one experiences during the summer at home. Some are caused by their own doing and others are by chance. Fischer draws one in with the emotions, upsets and love of the game. You will be on the field with them all and hoping for the best. 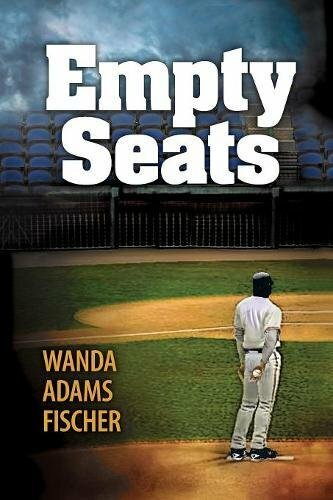 “Empty Seats” by Wanda Adams Fischer is a true coming of age story and an honest portrayal of aspiring baseball players. I highly recommend this book to everyone even if you aren’t a big fan of the game. You will learn many things about baseball and life.